Writer Amy Chu knows how to pen a story that will appeal to several generations by taking influences from a few different decades of science fiction entertainment to create KISS #2. You have the 1970s covered with a dash of "Logan's Run." The 1980s are represented by the presence of what resembles KISS Transformers or Robo-KISS security officers. Add to that the underground city concept from 2003's "The City of Ember" and you have a rather interesting blend of fantasy ingredients to spin a captivating and seemingly timeless tale with. Let's just say this isn't your typical superhero comic book where Starchild, Demon, Spaceman, and Catman swoop down and save the world like we've seen before (at least not yet it isn't). There's way more going on here that will keep readers anticipating what comes next by taking the KISS mythology to a different level. In the underground city of Blackwell, four children of the future discover four Elders from the past. The Elders, who live on as programs in the computer MORPHEUS, reveal a history they never knew, and deliver a warning-something has gone terribly wrong with their world. And it's up to the four friends to find out what in KISS #2. 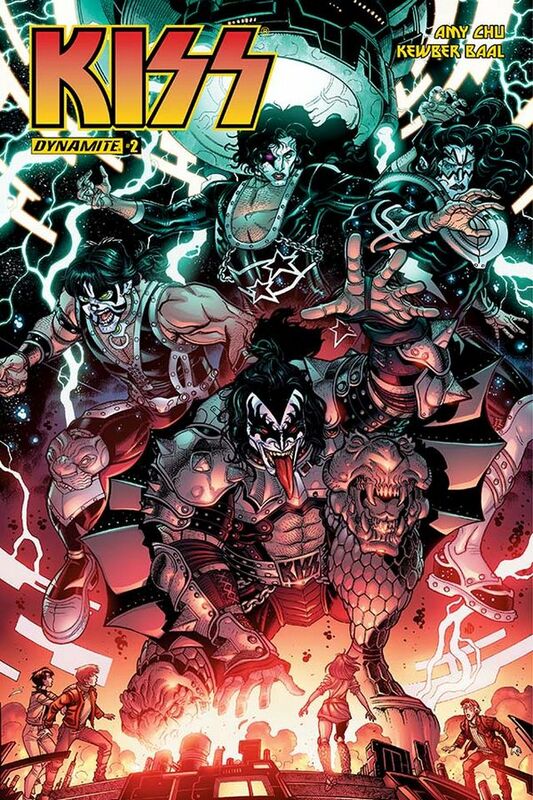 While KISS comics in the past have seemed marketed toward mature audiences with scantily clad women and horror elements prevalent, Dynamite's take on the super-group is tamer so far. Aside from the typical KISS fans, it appears targeted to teens and young adults. I can't recall any profanity and there's nothing too frightening or intense for a younger crowd so far. 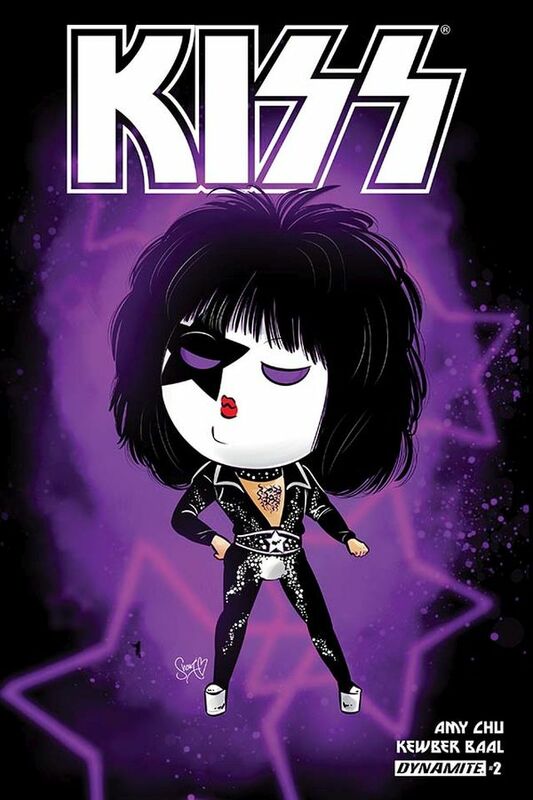 KISS #2 is available now in print and digital editions.